Willow deer created at Heatwood event and living willow edging for garden borders. 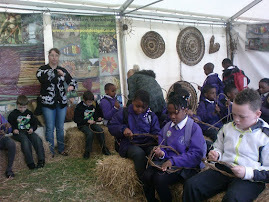 We are now taking bookings for living willow projects for over the coming winter/spring season. Contact us for more information. Steve will be at the Royal Newbury Show this weekend.